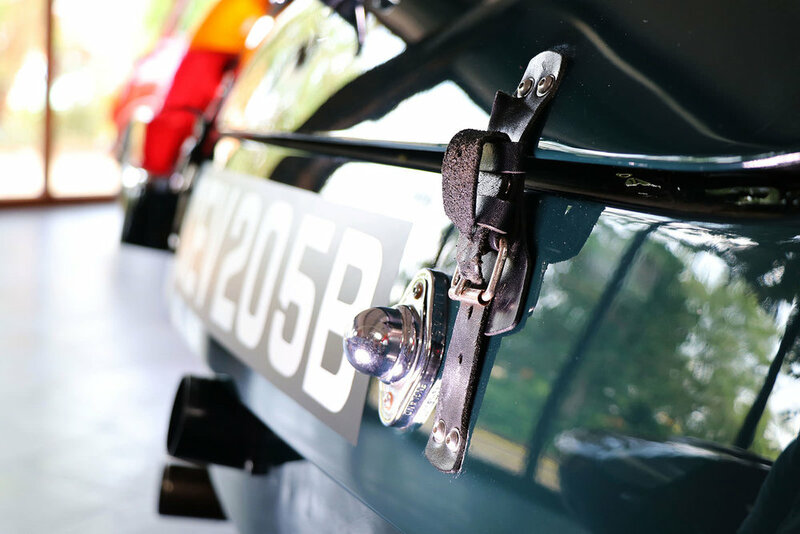 Goodwood eligible, this impressive 1964 MGB Mk1 roadster, in dark British Racing Green, was successfully raced in period; and has now been the recent subject of a complete rebuild to FIA standards. A Nicholson-prepared roadster, this MGB was acquired by Rob Shellard (F3 racer) for competition from 1965-1969. The car was fast and this racing period proved highly successful for Shellard, including fourth overall in the 3-hour Archie Scott-Brown Trophy Race held on 20th September 1970 at Snetterton. Its racing career was continued by John Cotton; a former mini racer, who acquired the MGB from Shellard. On 25th June 1972, at a wet Cadwell Park; Cotton passed Max Payne in his Elan, to climb the Mountain, going on to win his maiden Modsports victory. The roadster continued to be used in racing – first registered for the road on 21st January 1982. However, recognising this vehicle as a special piece of racing history, in 1985 Shellard tracks down the MGB and buys it back. He returns it to its 1960s specification, however, sadly dies before he could race it again. 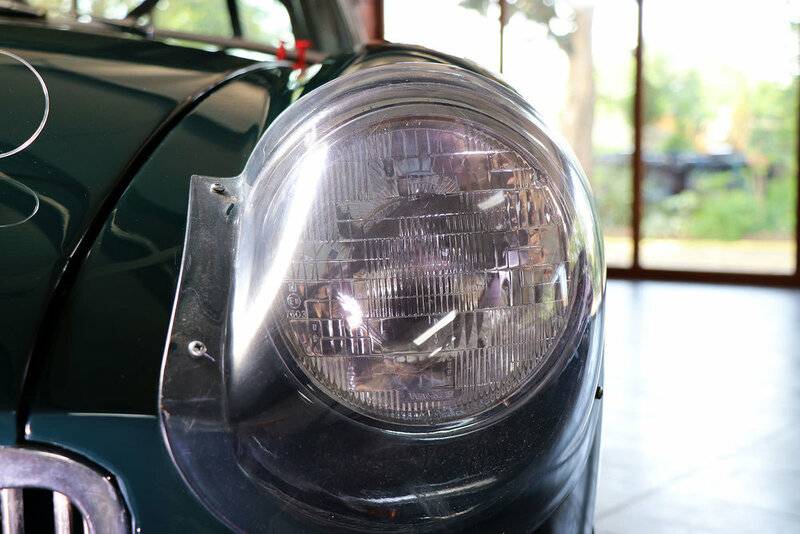 Moving forward, around 2015, the MGB was once again subject to a full rebuild. This restoration completed in 2016. The suspension has been totally rebuilt with poly bushes, camber front lower wishbones, new bearings, calipers and discs. The rear suspension has a rebuilt axle with gripper LSD and MG Motorsport 4-1 differentials, new cylinders and brakes. It has an all new fuel system, with 110 litre MG Motorsport foam filled tank. The roadster is powered by a full race MG Motorsport all 4 bearing steel engine and fitted with a close-ratio 3 synchromesh gearbox, as per FIA specifications. 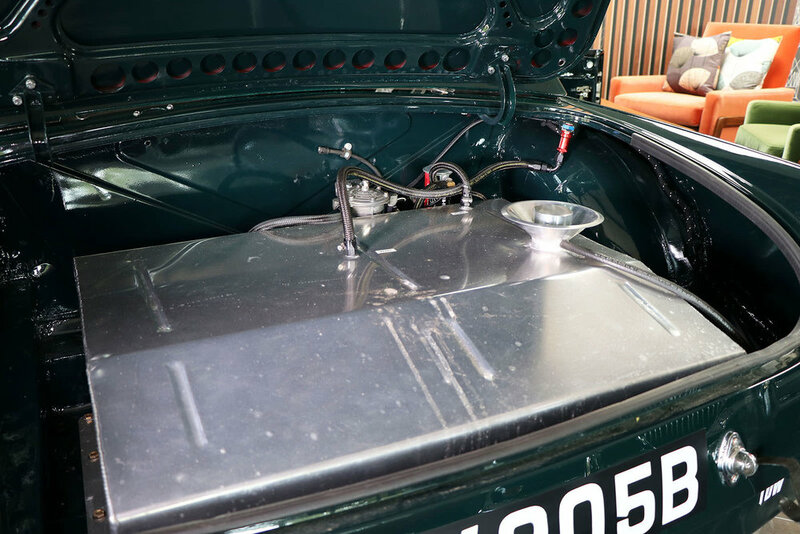 The body has been fully restored with new floors and boot, fully seam welded, with new rear valance. The vehicle has been fitted with a full safety devices roll-cage, Tillet FIA seat, alcantara dashboard, Krontec quick release steering boss, original steering wheel and FIA lifeline extinguisher system. NAS bolts have been used in this restoration. 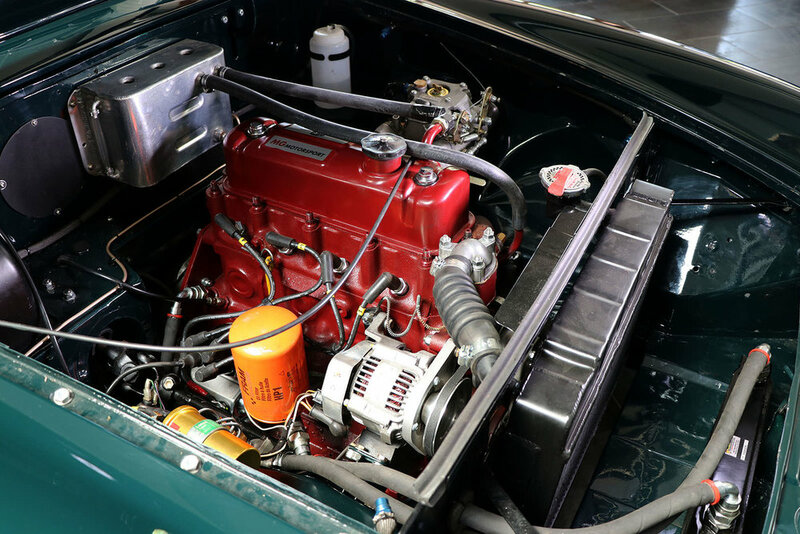 This MGB comes with a range of spares, including the original race engine, complete with SU carburettors; 5 wheels and straight cut 4 synchromesh gearbox. 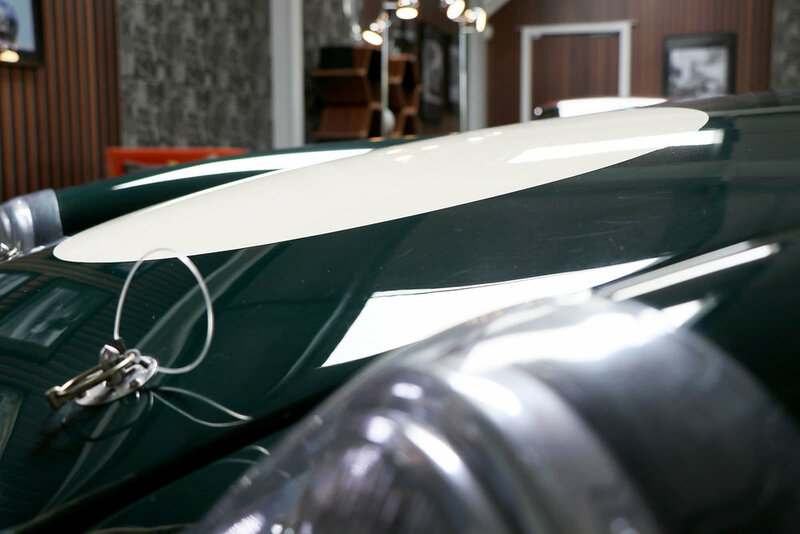 It also boasts a highly comprehensive collection of period photographs, race programmes and historical paperwork. 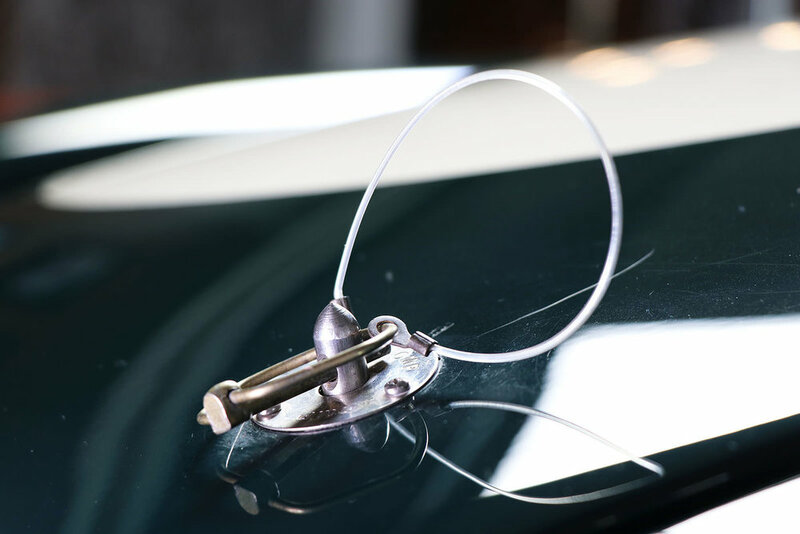 With FIA 10-year papers in the final stage of approval; the vehicle has a Heritage Certificate and Historic Vehicle Identity Form and has been the subject of a comprehensive ‘Sayer’ inspection.